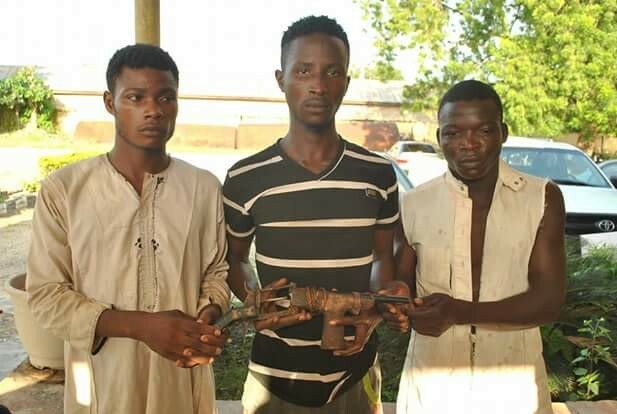 Operatives of the Niger State Police have arrested crimes suspects including kidnappers that sent threat letters to businessmen demanding for huge sum of money to avoid being kidnapped. 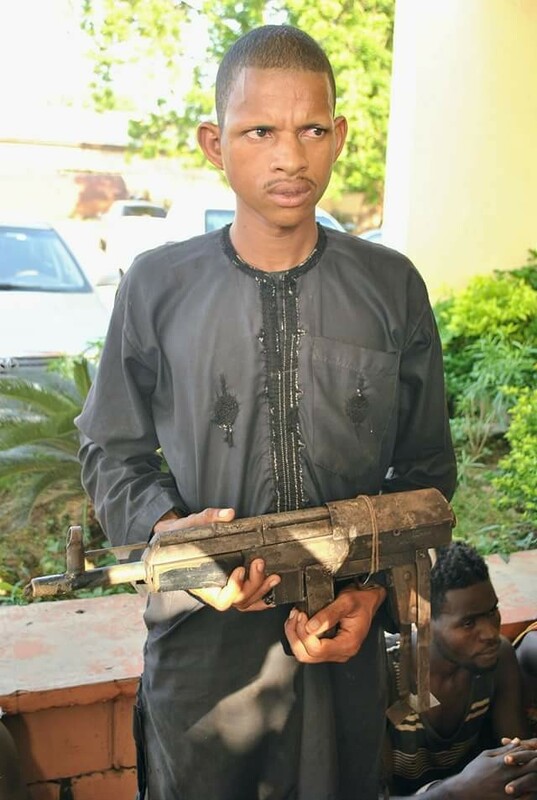 A statement issued on Tuesday, September 11, by the Public Relations Officer of the Command, DSP Muhammad Inna, said that that one Alhaji Sardauna Babirki of Bangi, Mariga LGA on August 25, reported that he received an anonymous call threatening him to render a sum of N2,000,000.00k to avoid been kidnapped. On receipt of the report, a team of Police detectives attached to Bangi Division carried out a painstaking investigation, trailed and arrested the principal suspects; one Kabiru Madawaki, 26, and Samaila Wanka aged 35, both of Bangi and Beri villages of Mariga LGA respectively. Investigation further revealed that in the month of August, 2018, the same gang threatened one Alh. Idris Madawaki of kwana Bala Buzu, one Alh. Garba Dali ‘m’ of Bangi and one Inuwa Nababa ‘m’ of Makenkeme, all in Mariga LGA on different occasions and received the sum of N 250,000 N 350,000 and N 100,000 respectively from their victims. The suspects confessed to the crimes and will soon be charge to court. 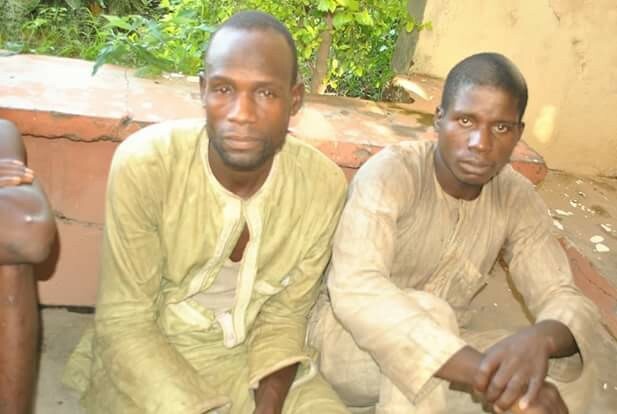 Similarly, on 21st August, 2018 , the operatives carried out another operation in Mariga LGA which led to the arrest of another two- man gang, one Yushau Audu aged 26yrs and Mohammed Sani aged 23yrs, both of Angwaka and Mangoro villages respectively, who wrote a threat letter to one Alh. Dantani Audu ‘m’ of Mangoro village in Mariga LGA demanding a sum of four Million naira (N 4,000,000.00k) to avoid being kidnapped but were apprehended before receiving the amount. The suspects confessed to the crime, and will soon be charge to court. In a similar operation, on 07th September, 2018 one Alh. Bahago ‘m’ of Kwakuti in Paiko LGA reported that sometimes in the year 2015 some unknown kidnappers called him to render a sum of N500, 000 and offered to them to avoid been kidnapped. In the month of June, 2018, the same gang of kidnappers called him again demanding two million naira or else he will risk his life. On receipt of the complaint, a team of Police Detectives attached to the Command Special Anti-Robbery Squad smashed a syndicate of three-man gang of kidnappers and arrested one Abubakar Umar alias Yellow, aged 20yrs of Ungwan Kaura Zungeru in Mashegu LGA while two others still at large. During interrogation, the suspect confessed to the crime. Exhibits recovered include: one fabricated SMG rifle with five (5) live ammunitions while effort is intensified to arrest the fleeing suspects, case under investigation. On 06th September, 2018 at about 1330hrs, a team of Police Detectives attached to Lapai Division while on surveillance along Lapai Ebbo road intercepted one Umar Idris ‘m’ aged 21yrs and Moh’d Kabiru Gazuma, aged 24yrs both ’m’ of Kpatsuwa village in Abaji LGA Abuja on a motorcycle suspected to be stolen, during interrogation they confessed to have robbed the motorcycle from one Abubakar Shuaibu ‘m’ of the same address. Investigation further led to the arrest of one Emmanuel Titus, aged 24yrs of the same address who supplied them with arms. Exhibits recovered include one motorcycle, one locally made revolver pistol with one live ammunition, face mask and a charm. Case will soon be charge to court. In another stroke, on 27th August, 2018 at about 0730hrs, based on a tip off, Police Detectives attached to Mokwa Division arrested one Aminu Sani aged 25yrs of main Garage Mokwa, Mokwa LGA for vandalizing a transformer situated at Ezhigi village of Mokwa LGA. 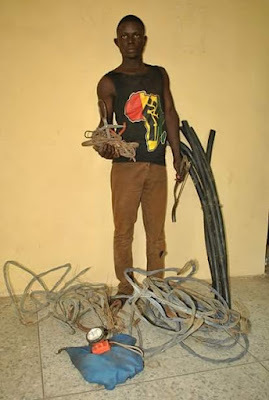 The suspect confessed to the crime, exhibits recovered includes six pieces of Amoured cables, saw Blade, scissors, pliers, touch light, bunch of copper wires, and burnt electricity cables. Case will soon be charge to court.